The mascot-based digital board game comes to Switch. Gotouchi Tetsudou for Nintendo Switch will launch on February 22, 2018 in Japan, Bandai Namco announced. 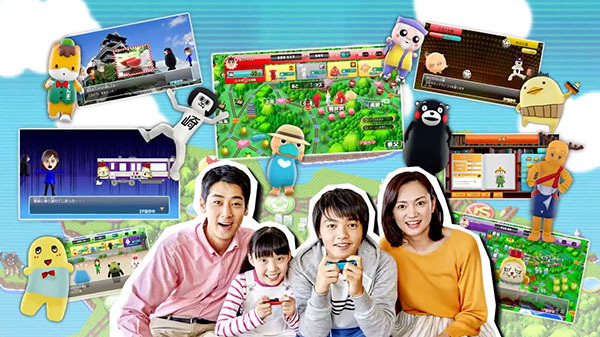 The digital board game tasks players with becoming the best local mascot character producer in Japan by joining up and traveling with various mascot characters, and building up a fan base. It previously launched for 3DS and Wii U. Read about the new, Switch-exclusive features here.